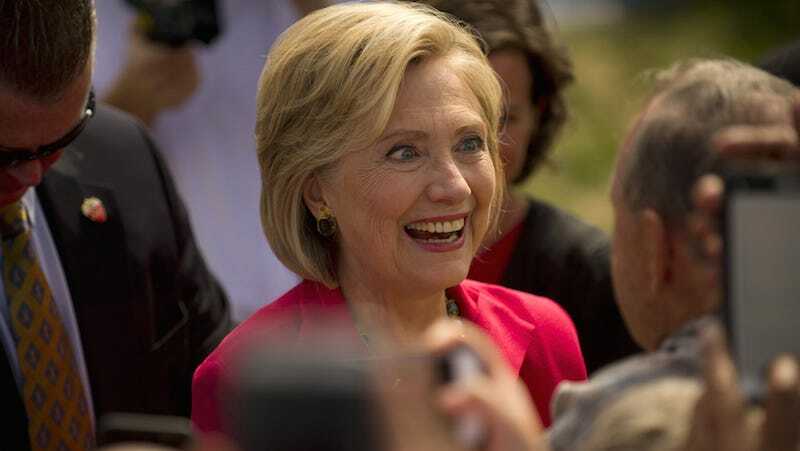 Hillary Clinton has been dealing with a months-long migraine atop her many other migraines after it was revealed that she used a private email server to conduct official secretary of state business. Nothing classified was sent over the insecure server, she insisted, and the hype was partisan overreaction. It turns out, however, that that’s not really true. On Monday, 150 new emails were “upgraded” to classified, according to the State Department, pushing the total number of emails containing confidential information to approximately 213. Still, it isn’t immediately clear whether the information was classified when the emails were sent, although the fact that they are classified now indicates that they were of a sensitive nature to begin with. It is not possible to send a properly marked and classified email through an unclassified State Department account or a private email account, according to multiple senior government officials familiar with handling sensitive materials in the government email system. Each of the 150 emails newly deemed classified were considered exempt from public release using a specific guideline of the Freedom of Information Act (FOIA). Specifically, the regulation states that anything deemed to contain “classified information for national defense or foreign policy” is exempt from public release. The State Department also announced that it would release about 7,000 pages of emails from Clinton’s first two years in the position.